After a week of his cake sitting in my fridge (I guess my life is busier than I realize, sometimes) my little guy finally got to have his very own cake smash. What made it even better was my parents from Texas just happened to be in town, so my mom got to help set it up and then watch as Westin went about devouring his cake. I have only done official, full scale cake smashes for two of my kids, and I must say I absolutely love them. I wish I could go back in time and do then for the first two kids. Those two got special cupcakes on their birthday and, believe me, I took a ton of pictures, but there is something so fun about sitting a baby on the floor with a whole cake and watching what they do. I've seen kids cry over being dirty, put their whole faces in it to get to the icing, dump it on the floor to stick their feet on top, and more. 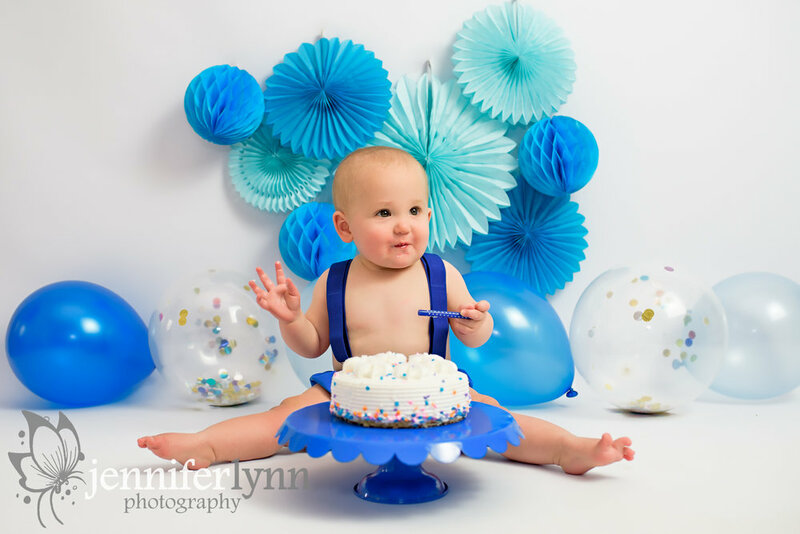 Each baby is so different and it's just such an incredibly joyful way to celebrate a first birthday. I highly encourage you to do it if you're on the fence. You won't regret it. For my own little guy, Westin LOVED his cake! He kept taking breaks to grunt excitedly and wave his hands. I'm sure he was thinking, "WOW! They're just letting me eat this entire cake by myself!" But my favorite was after he got his foot in the cake, he refused to put his foot on the floor and held it up the remainder of the time. Priceless. 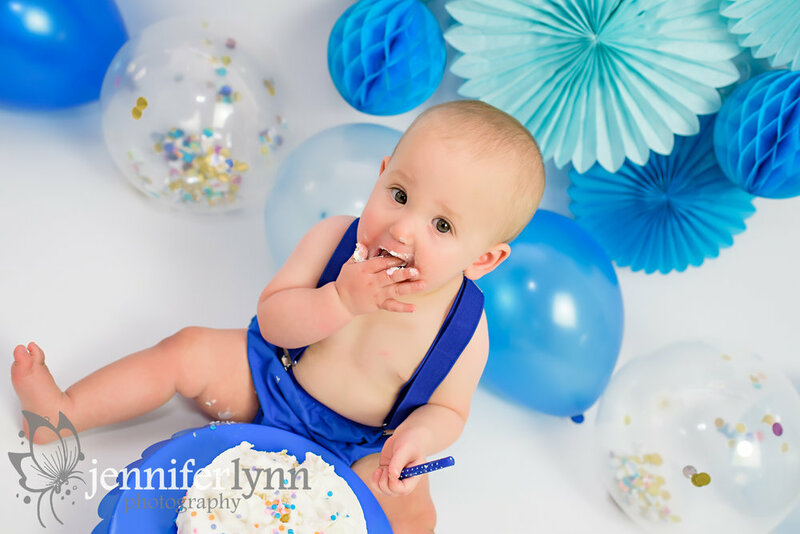 A very happy first birthday to my fourth baby, my happy little Westin! I can't believe you've been part of my family for an entire year, and yet I also can't imagine life without you.